Ivy League’s four year old program scaffolds the foundation of what was learned in our three year old program (see Nursery Programs). Four is often referred to as a magical year partly because it is a time when children’s cognitive social-emotional physical development and imagination take big leaps. It is an exciting year of growth and exploration where no one standardized curriculum model suffices to meet your child’s personal growth needs. What distinguishes Ivy League’s four year old program is the mix of challenge and support provided to each child as he or she embarks on a personal learning journey. As a leader in Early Childhood Education, Ivy League’s Pre-School program combines contemporary research based teaching methods, and knowledge derived from proven practices building a strong foundation of knowledge and skills for your preschooler. Always observant and flexible, our experienced and nurturing teachers promote the development of the whole child utilizing a plethora of strategies and a mix of modalities – auditory, visual and tactile – for teaching almost any four year old what is needed to be learned prior to entering kindergarten. Supported by brain research and the psychology of learning, Ivy League teachers use an integrated approach to build a foundation for reading. Through a piece of literature or a theme intriguing to children, such as the Solar System, teachers build background knowledge of the topic, and at the same time, teach the fundamental tools of learning. As they acquire new concepts about their world, children are also mastering listening, speaking, reading and writing skills. Each day at Ivy League, children engage in activities to tap into each child’s growing intellect and need for independence. The pre-school curriculum emphasizes a wide range of language and literacy skills which are linked to achievement in later grades (i.e. oral language development, phonological/phonemic awareness, alphabet knowledge, and inventive spelling). Story reading, telling and re-telling stories and dramatic play are some of the activities which Ivy League teachers use to enhance language development. Additionally, children are provided with various pre-writing activities as they develop the skill and confidence to hold a writing implement correctly, understand page orientation, and print upper and lower case letters. With appropriate scaffolding of skills, and personal attention, children are taken to new levels of ability and understanding. Our teachers are aware that children come to school with varying degrees of prior knowledge in the areas of reading and writing. Keeping that in mind, teachers construct rich thematic curriculum utilizing vocabulary, grammar and phonemic awareness to develop a strong, literacy-rich pre-kindergarten program. Throughout the day, children utilize games, songs and other playful experiences to learn letters, sounds, words and numbers. We support emergent readers in many ways. 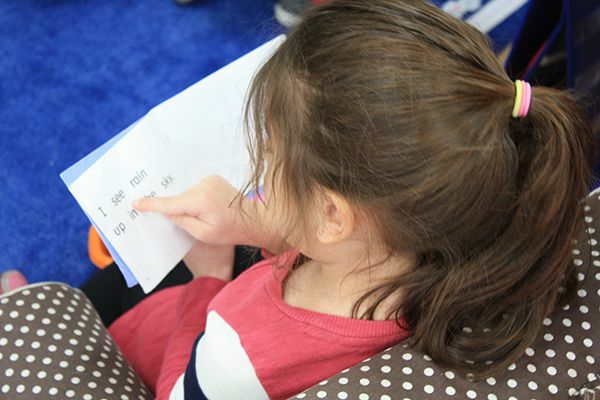 Through story and print awareness, children see themselves as readers whether they are reading conventionally or not. We utilize fictional and informational literature along with leveled readers, poems and songs to further enhance a theme-based study. We understand early attempts at writing are a valuable experience for young children. Our pre-kindergarten teachers utilize a thematic curriculum to foster meaningful and purposeful writing. We use shared and interactive writing to create opportunities for dictation and storytelling. Children quickly learn to see themselves as writers and love the process. In the area of mathematics, numbers are analyzed, sorted, classified and counted (#1-100), compared, and with addition and subtraction concepts and computation skills introduced. Measurement is learned via describing and comparing lengths, weight and capacity. We seek to have our youngsters understand the natural world and to explain why things happen from a scientific perspective. We explore senses and utilize tools to collect data and evidence. Building learning through questioning is a key to our science program. We create a sense of wonder, joy, and excitement when we give our students an opportunity to discover something.